Welcome to Propolis Science, the website dedicated to all things Propolis! While Propolis has been around as a natural remedy for thousands of years it is still not widely recognized today; and even when it is, its use is usually for a limited range of applications. So one of the primary reasons for the creation of propolisscience.org is to share and expand our understanding of the uses for this promising healing ally, an understanding that is usually limited to its immune related actions. While these immune actions can be quite profound there are numerous other varied and impressive actions that are worth exploring (and using it for). Because of this, we have created this website, Propolis Science, dedicated to sharing the amazing, varied, and diverse array of Propolis’ healing potential with you. Propolis Science’s mission is to share and explore the long, extensive, and wide-ranging uses of Propolis, both traditionally as well as scientifically. It is a reference site filled with the science and research that has been performed over the last ~75 years or so, research that continues to grow to this day. Our hope is that as you explore the extensive amount of research that covers the many body systems and organs, including immune, liver, kidneys, lungs, brain/CNS, pancreatic, skeletal, hormonal, and oral, to name a few, you will gain a wider appreciation of the potential healing gifts of Propolis, along with a better understanding of how to use it for yourself and your family. You will also find research on a diverse number of health issues, from cancer to food allergies, ischemia to radio-protective, candida to dental caries and most everything in-between. All of this is made possible because of the synergistic interactions of literally hundreds of different compounds that are found in Propolis. Please take a look around and see for yourself. This potential healing gift from the beehive of all places may surprise you. We love hearing from you, so please feel free to comment or inquire on our Q & A page. It is our fervent hope that by sharing this information and research on Propolis that it will help you and yours on your healing path. So, welcome to Propolis Science and all things Propolis. 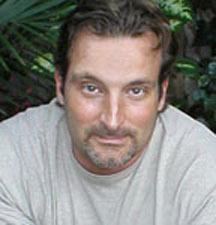 Mark J. Kaylor, M.H. C.N., Ph.D.
Mark’s life took an abrupt and significant turn while pursuing his doctoral studies in sociology. A part-time job in a health food store began a series of life discoveries and career changes, awakening in him a passion for holistic health and healing. From this point on he began exploring in depth, as he does to this day, a diverse array of healing practices and traditions from around the world. From a Cherokee reservation to the Amazon rainforest to mountains in China, his studies have lead him to develop a truly holistic practice and approach to health and healing incorporating many traditions, styles, and modalities. Arising out of his work over 40 years ago with the hiv/aids community he came to recognize the importance and essential need to approach chronic dis-orders from an authentic holistic perspective. Mark believes that many of us have come to settle for a level of health that is substandard rather than the radiant health that is our birthright. He works to encourage, nourish and bring forth an individual’s innate healing gifts (abilities) and to encourage individuals towards discovering their own path to radiant health. One of the steps on a path to Radiant Health is service. His websites, his lectures over the past 40 years, the newsletter and all future efforts are part of his personal steps of service. Mark’s search for truth has lead him to pursue the path of radiant health, viewing health and healing as a life-long process rather than as an end goal. He has worked and consulted in the Natural Foods Industry for close to 40 years as a leading holistic health educator, formulator, radio show host/guest, and author. You can catch him frequently on health talk radio and also visit his informational website: RadiantHealthProject.com.